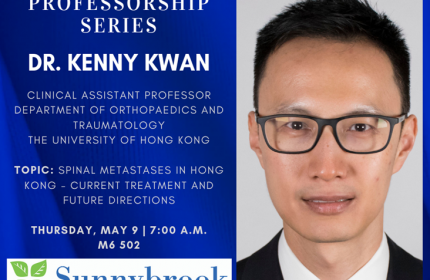 Sunnybrook is one of North America’s finest hospitals for musculoskeletal care, education, and research. We are home to Canada’s largest Level 1 trauma centre where we care for complex bone and joint injuries. 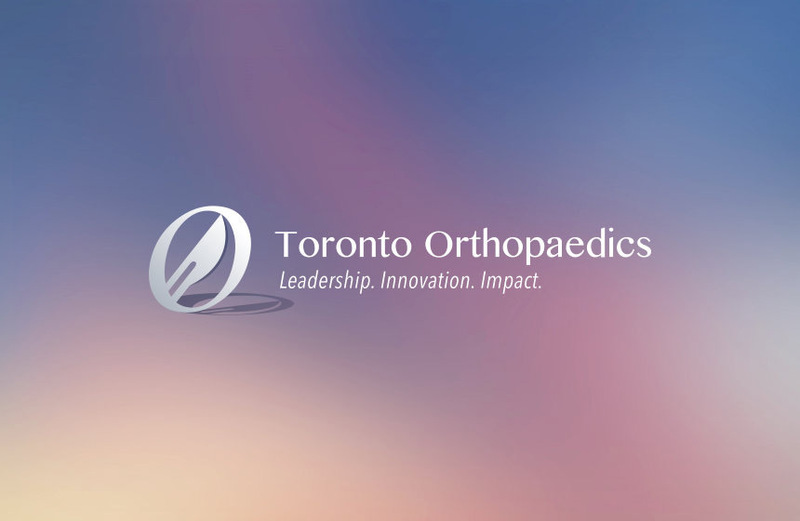 With over 1700 ‘Code Trauma’ patients treated at our uptown Toronto campus each year, we currently perform over 1300 urgent orthopaedic surgical cases annually. We are an established and efficient high volume quality orthopaedic centre for hip and knee joint replacement surgery. We have developed innovative inter-professional care delivery pathways for our aging population with osteoarthritis and younger patients with post-traumatic arthritis. Our downtown Toronto campus also supports a functional inter-professional rehabilitative and orthopaedic surgical Work Conditioning Program (WCP) for injured patients. With 19 full-time academic Orthopaedic Surgeons performing surgery, Sunnybrook’s Division currently supports an annual volume of over 4,000 scheduled surgical cases, including more than 2,200 hip and knee replacement procedures, and over 30,000 ambulatory care visits. The hospital’s Holland Musculoskeletal Program remains integral to Sunnybrook’s ecosystem supporting its Trauma activity, Cancer Program (Odette Cancer Centre at Bayview), and provides comprehensive orthopaedic care for patients with degenerative and inflammatory bone and joint conditions. Whyne leads our internationally recognized Orthopaedics Biomechanics Laboratory (OBL) which focuses on spinal metastases and orthopaedic trauma. Utilizing experimental, computational, and advanced image analysis, this laboratory develops innovative minimally-invasive medical devices and biologic technologies. The Holland MSK Program and Sunnybrook Research Institute (SRI) is also home to several full-time MSK PhD Scientists focusing their efforts on spine focused ultrasound (FUS), and health outcomes research through the Institute of Clinical Evaluative Sciences (ICES). Our MSK outcomes research focuses on injury prevention, enhancing the primary care through specialist physician interface, as well as leveraging electronic medical records (EMR) and health administrative data in related research. The hospital’s Practice Based Research (PBR) program has supported many of our innovations and changes to orthopaedic inter-professional care delivery that includes centralized intake and assessment for patients in order to expedite timely care. Our scientists and surgeon-researchers/educators train over a dozen Masters/PhD Graduate Students annually through SRI and the University’s School of Graduate Studies (SGS) Program. We also train many Post-Doctoral Research Fellows and Undergraduate medical and bio-medical engineering students. Our team of orthopaedic surgeon-researchers and scientists hold university SGS appointments with primary university institute affiliations including the Institute of Medical Science (IMS, Faculty of Medicine), IBBME (Institute of Biomaterials and Biomechanical Engineering), IHPME (Institute of Health Policy Management and Evaluation), and the Ontario Institute for Studies in Education (OISE). We continue to grow the number of Surgeon-Scientists in our research program. Diane Nam is advancing bench to first-in-human clinical trials on drug therapies aimed at improving fracture healing and Dr. Bheeshma Ravi’s health outcomes research focuses on improving outcomes for patients after total joint replacement and orthopaedic surgery. Over 20 orthopaedic residents will train at Sunnybrook during the academic 2017/18 year. We are also home to one of the largest clinical fellowship programs with 19 orthopaedic fellows (2017/18). Over half of our orthopaedic fellows are internationally trained during residency, choosing to come to Sunnybrook and the University of Toronto for their subspecialty training. Markku Nousiainen and Veronica Wadey continue to lead key university divisional as well as Royal College initiatives relating to our university’s Competency Based Curriculum as well as Royal College Competence By Design national education framework. Our faculty continue to lead several key international education meetings (Drs. Terry Axelrod and David Stephen; AO Basic and Advanced Trauma Courses in Toronto, respectively) as well as university education efforts.